Sometimes, it takes more than a balanced diet, regular exercise, and a good fitness routine to achieve the body that you want. In your journey to a healthier and more confident version of yourself, there are instances when medical procedures are necessary. 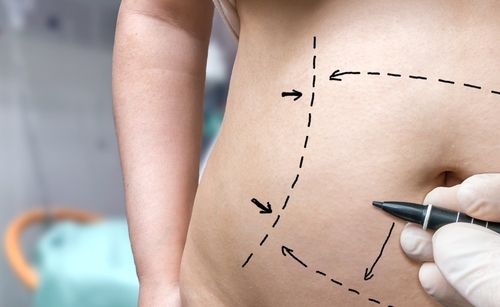 People who choose to undergo abdominoplasty – or what is commonly known as a tummy tuck – do so for different reasons. Some women see it as the fastest way to regain their figure post-pregnancy, while there are also those who find it as the most effective method in eliminating excess skin around the stomach area after immense weight loss. Whatever your reason may be, it is important to note that undergoing a tummy tuck is not a decision that one should take lightly. You should do your research and thoroughly think it through before making any commitments. For a better insight into the procedure, click here. While it’s true that the success of the surgery largely depends on the competency and commitment of the person performing it, there are also other factors that play into the outcome of the surgery aside from your choice of plastic surgeon. You, as the patient, have the responsibility to prepare yourself for the procedure as much as you can. For the surgery to yield the best possible results, you should make an effort to lose weight a few months prior. Many doctors recommend this on the premise that there is a good chance that performing a tummy tuck on a heavy patient may only tighten the skin on the belly but could still leave a noticeable bulge afterward. Although it’s ideal to think that the tummy flab will disappear completely and your life can go back to normal right after the surgery, that is sadly not the case. It will take time. However, with ample preparation and post-surgical care, there’s very little to worry about. These simple tips can do wonders in easing your post-tummy-tuck experience. The key to a fast and smooth recovery is following your plastic surgeon’s advice. Doing everything that your surgeon tells you will steer you away from risks of complications. Also, take your medicines as scheduled. Your doctor will prescribe you a list of medications to make the recovery period as comfortable as possible. Typically, these medications consist of pain relievers to make the pain manageable and antibiotics to help prevent infection. No matter how independent a person you are, you’ll need all the help you can get post-surgery. If you’re living alone, you should arrange for someone to stay with you for at least 48 hours after the procedure. For the first few days, walking would be tricky and so is engaging your core muscles. It is important to have someone by your side, both for physical and emotional support. Healthy balanced meals are an essential part of a speedy recovery. Aside from providing you with the proper nutrition, it also lessens the risk of weight gain. One particular food group that you should integrate into your diet is fiber from vegetables, fruits, and whole grains. Fiber helps fight constipation, which is common after surgery due to the prescribed medications. Post-tummy-tuck, it’s best to avoid foods that are laden with sodium to reduce swelling and water retention. Stay away from alcohol, at least for the first two weeks. Alcoholic beverages may weaken the effects of your medication and cause dilation of your blood vessels, which may result in unwanted bleeding. It is wise to engage in efforts to stay fit but not until you have fully recovered. Your doctor will most likely endorse walking around a day after the surgery to avert the risk of blood clot formation. As the case may be, make sure to take it easy and do not overexert yourself. Doing anything strenuous may lead to pain, swelling, and other complications. Everyone heals differently. Some patients are able to get back to work within a week after the surgery, but you shouldn’t have to rush yourself. Not giving yourself time to heal appropriately may put unnecessary strain on the wound. If you can arrange for two or three weeks of rest, do so. Your body ought to have enough time to heal, and you deserve a restful and relaxing recovery period after the tummy tuck. Tummy tuck procedures generally have longer recovery time frames than many surgeries and cosmetic treatments because it involves a crucial and fundamental part of the body. That said, the lengthy recovery plus your fear of “what happens next” should not dissuade you or keep you from reaping the benefits of the procedure. Plan your steps in advance and follow your surgeon’s instructions – you should be back in shape in no time!